Nzinga Brown - Redstone Agency Inc.
Nzinga Brown manages a variety of small and large association clients at Redstone, supporting her clients with membership, marketing and sponsorship initiatives that provide measurable ROI and meet strategic objectives. She has planned and executed sold-out conferences, spearheaded innovative mentorship initiatives, led online portal vendor sourcing and implementation projects, developed meaningful board and committee relationships, and created process efficiencies leading to cost-savings of up to 50%. As a leader on the Redstone team, Nzinga’s expertise includes integrated marketing, organizational communication, stakeholder engagement, media relations, and conference management. She is passionate about using coherent, engaging and targeted communication strategies to build trust within an organization’s sphere of influence. Nzinga believes in putting the client first by listening to their spoken and unspoken needs and finding creative solutions that maximize impact. 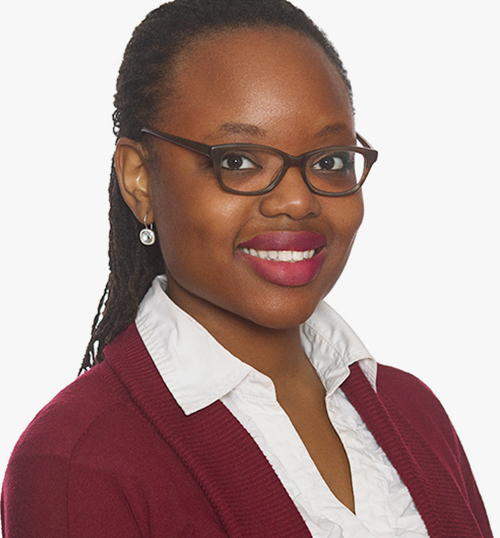 Nzinga is the 2018 recipient of the Donna Mary Shaw Award from the Canadian Society of Association Executives (CSAE). Recipients of this prestigious award are individuals in the not-for-profit sector with a passion for management and mentoring. She is currently working towards her CAE designation.